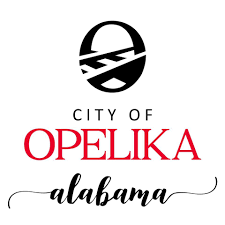 Mayor Gary Fuller has conferred with Public Works Director Mike Hilyer and has issued an order to “suspend” the rules at Opelika cemeteries starting last Saturday and through Jan. 6, 2019 governing the placement of floral arrangements, wreaths and trinkets on graves, allowing loved ones to place extra holiday wreaths, flower arrangements (in a separate container) and trinkets on the graves. The city rules require that there can only be one flower arrangement per grave lot, unless the monument provides its own flower receptacle. Flower receptacles of any kind (glass, wood, plastic, tin, cement) are prohibited and no flowerpots are (normally) allowed to remain on the lawn area beside gravesites. The only exception to this rule is the flowers placed on gravesites from funerals which have occurred within the past week. Also, two trinkets or whatnots per lot are permitted if placed on the base of the monument. The rules will go back into effect and be enforced once again on Jan. 7, 2019. Any wreaths or separate floral arrangements or extra trinkets left out at that time will be removed from the gravesites on Jan. 7.